Marketing texts are about more than facts – they are about emotions. These are conveyed through a rich mixture of language, content and images, often using wordplay, rhyme or other stylistic devices. So what does this mean for translating marketing texts into other languages? Can marketing texts even be translated? (Experience a magic taste – come to the world of Haribo). None of these language versions are a word-for-word translation. But the most important stylistic device, the rhyme, has been carried through into every slogan. Is it worth translating marketing texts? The answer to this question is a resounding “yes”. To sell in international markets, speaking the customer’s language is a must: According to Common Sense Advisory, a market research firm, 75% of consumers will opt for a product which comes with information written in their native language. Even in a country where everyone learns English at school, such as Germany, not everyone has the necessary language skills to fully understand every marketing message. A jeans manufacturer once advertised their trousers in Germany using the slogan “live unbuttoned” in its original English. Many potential customers were less than impressed by the prospect of buying a pair of jeans which did not have any buttons! Marketing texts should transport emotions and create trust, but this only works if the audience fully understands the message. And this means more than just getting the general gist; it means having a full grasp of the cultural and linguistic nuances in a way only a few people have in a foreign language. A translator of marketing texts (or transcreator) has to take the subtleties of a message in its home market and transport them into the target market to create the same effect. This applies to both B2C and B2B marketing. What do I need to know if I want to get marketing material translated? Briefing Just like a copywriter, a translator needs certain information, such as the target audience, the aim of the message, and the level of formality. A short briefing will make for a much more accurate transfer of your message. Style guide Define some rules for a uniform brand message across your markets. Do you already use specific set phrases, spelling rules, conventions for currencies, measurements, etc.? Do you have a glossary containing recurring terms? Are there any existing marketing texts in different languages which should be used as templates for style, terminology and conventions? Which proper names should be kept the same in all languages to safeguard a consistent brand across all markets? A style guide should be made available to all translators, marketeers and copywriters. Transcreation or translation? The transcreation, or adaptation, of marketing texts goes beyond the word-for-word translation of the contents of a text. At first glance, a transcreation may seem very different from the original, but it has the same effect. Transcreation is a very creative process, and there is never just one possible solution. It may make sense to ask for several suggestions, particularly when having slogans translated. Give it time Any marketing expert knows that creative processes do not always happen at the push of a button. Sometimes brainstorming may help, or sleeping on a text. This is just as true for transcreating marketing texts, which is why leaving enough time for the process guarantees a better outcome. Having the last laugh… Be careful when using jokes, wordplay or references to the world of sport or even politics. What may be funny in one culture, may not work in others, or even have the opposite effect. Symbolism Please bear in mind that hand gestures or colours do not have a universal meaning. While making a fist with your palm facing inwards and raising and parting your index and middle finger to form a V-sign is understood to mean “victory” in most countries, this gesture will make you no friends in the UK. Brand names Think about possible future markets when developing brand names. The car manufacturer Citroën failed to do this many years ago, and launched a car called Nova in the Spanish market. “No va” in Spanish means “it doesn’t run”, which was not the brand message Citroën had had in mind. Define your target group Which regional markets are you targeting? 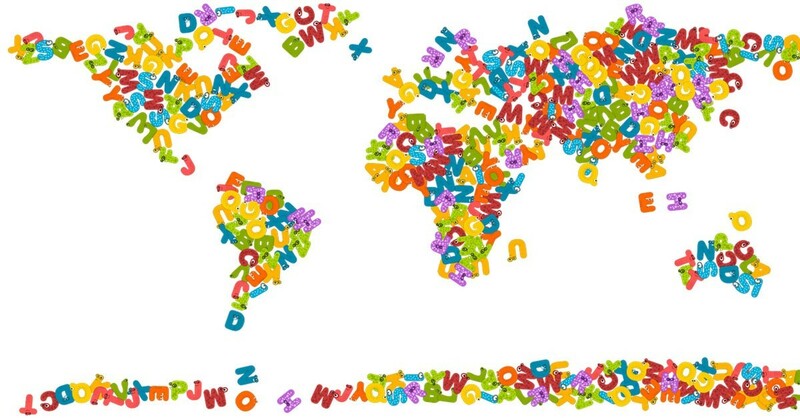 Global English is just as much of a myth as a global version of any other language. The German spoken in Switzerland is vastly different from that spoken in Germany or Austria, for example. When selling bicycles in Switzerland, people will understand if you advertise “Fahrräder”, but will be much more likely to buy a “Velo”. Use native speakers To avoid falling into linguistic and cultural traps, use a native speaker of the target language for the transcreation of your marketing message. This works to your advantage, as language and culture are closely intertwined. Work with professionals Qualified translators have both linguistic training and extensive knowledge of cultural do’s and don’ts. When selecting a language services provider, ask for their track record in marketing translations/transcreation.